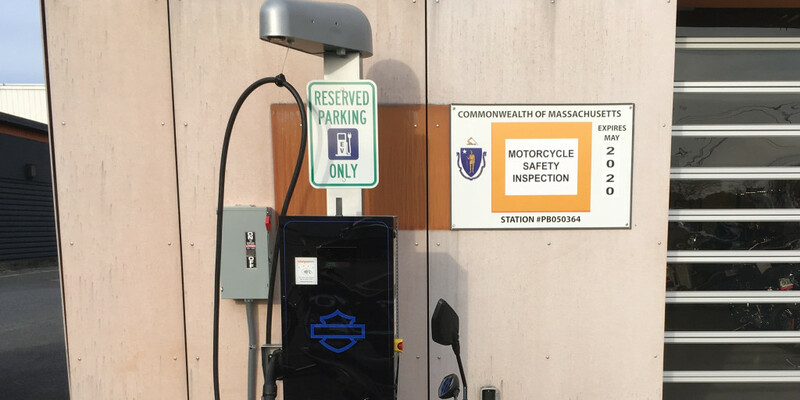 In anticipation of deliveries for the Livewire, various dealers across the country have begun installing charging stations. These Level 3 DC stations should allow for owners to get 80% of their charge in around 40 minutes or so. This is actually a prerequisite for any dealer that wants to stock the e-bike. This is smart as it could be a good alternative to avoiding queues at public stations. Newer ones do allow you to check in real time if there are empty spots or broken terminals though. Harley could have made these look a bit more...premium imo. At 110 miles of range this will be great for anyone planning to do long distance riding which on a $30k bike I haven't seen much of. My guess is that most people will be fine with charging at home. How many miles do you guys rack up daily? Is there a particular reason why basically no charging stations have any sort of roof or shelter from the weather? Why are EV owners expected to sit in the rain, especially when the charge times are substantially longer than a fuel up? I've always found that odd as well, but with more established brands getting on board to build up the infrastructure I would imagine this will change soon enough. If you have a look at new companies like Fastned, these kinds of stations are already starting to pop up in Europe. Even existing gas stations like Shell are starting to implement chargers at various locations. They are however still separate and isolated, which I agree is something that needs to be addressed. At least with Tesla they have lounges for you to wait in.